Celebrate National Fossil Day at the Falls of the Ohio State Park. Free admission beginning at 5 PM, courtesy the Falls of the Ohio Foundation. Guest speaker – Dale Brown, Falls of the Ohio State Park, speaks from 7 to 8 PM on Paleontol“The Birth of Paleontology” – learn about how and where the science of paleontology first took hold. 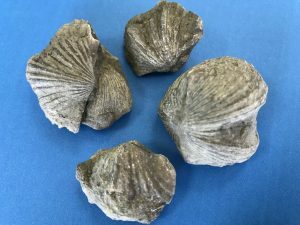 find fossils on the collecting piles, and more. Enjoy free refreshments with a fossil theme.